Chucalissa - A Mississippian Period town site in Memphis, Tennessee. Pinson Mounds State Archaeological Park - A Woodland Period ceremonial mound complex near Jackson, Tennessee. Shiloh Indian Mounds - Mississippian town site located in the Shiloh National Military Park near Savannah, Tennessee. Tennessee River Museum - In Savannah, Tennessee, features an exhibit of artifacts from the Shiloh mound site, as well as other exhibits. Trail of Tears National Historic Trail - Starting in East Tennessee, the Trail of Tears National Historic Trail also runs through Middle and West Tennessee. 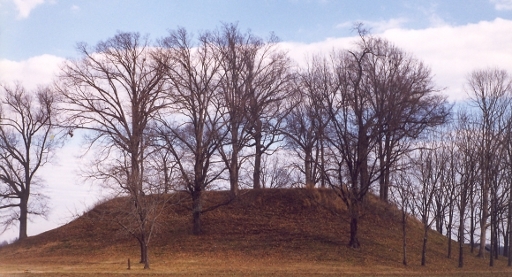 Ozier Mound, a Woodland Period platform mound at Pinson Mounds State Archaeological Park near Jackson, Tennessee.